Found 4 file extension associations related to Pyxel Edit and 1 file format developed specifically for use with Pyxel Edit. 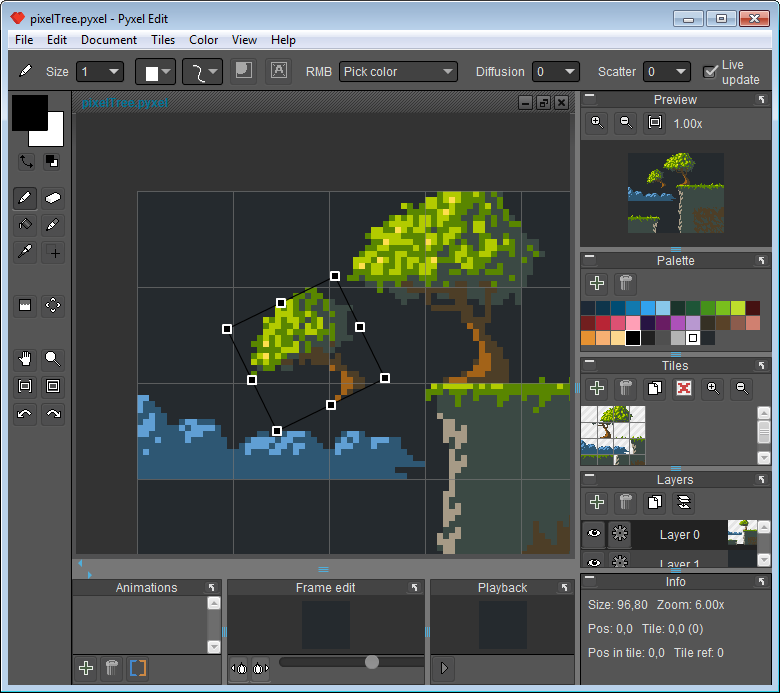 Pyxel Edit for Microsoft Windows is art drawing tool especially designed for working with tiles. It also supports making animations, and exporting them as sprite sheets or animated GIFs. If you need more information please contact the developers of Pyxel Edit (Daniel Kvarfordt), or check out their product website.